To meet the large demand for high capacity transmission in optical access systems, 10G-PON (10G Passive Optical Network) has already been standardized by IEEE (Institute of Electrical and Electronics Engineers) and ITU (International Telecommunication Union). To enable the development of future optical access systems, the most recent version of PON known as NG-PON2 (Next-Generation Passive Optical Network 2) was approved recently, which provides a total throughput of 40 Gbps downstream and 10 Gbps upstream over a single fiber distributed to connected premises. The migration from GPON to 10G-PON and NG-PON2 is the maturity of technology and the need for higher bandwidth. This article will introduce the NG-PON2 technology to you. NG-PON2 is a 2015 telecommunications network standard for PON which was developed by ITU. NG-PON2 offers a fiber capacity of 40 Gbps by exploiting multiple wavelengths at dense wavelength division multiplexing (DWDM) channel spacing and tunable transceiver technology in the subscriber terminals (ONUs). Wavelength allocations include 1524 nm to 1544 nm in the upstream direction and 1596 nm to 1602 nm in the downstream direction. NG-PON2 was designed to coexist with previous architectures to ease deployment into existing optical distribution networks. 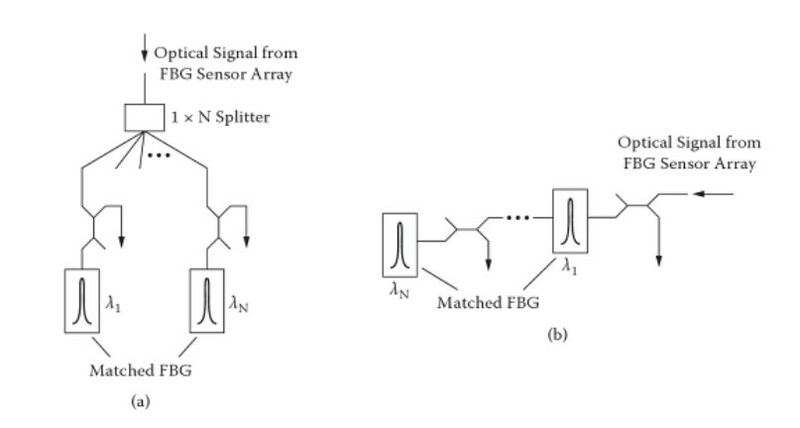 Wavelengths were specifically chosen to avoid interference with GPON, 10G-PON, RF Video, and OTDR measurements, and thus NG-PON2 provides spectral flexibility to occupy reserved wavelengths in deployments devoid of legacy architectures. 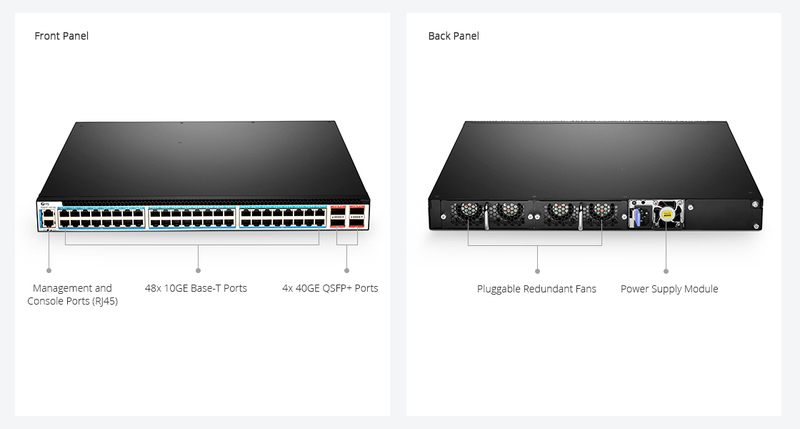 If 24 premises are connected to a PON and the available throughput is equally shared then for GPON each connection receives 100 Mbps downstream and 40 Mbps upstream over a maximum of 20 km of fiber. For 10G-PON, which was the second PON revision, each of the 24 connections would receive about 400 Mbps downstream and 100 Mbps upstream. The recently approved NG-PON2 will provide a total throughput of 40 Gbps downstream and 10 Gbps upstream over a maximum of 40 km of fiber so each of the 24 connections would receive about 1.6 Gbps downstream and 410 Mbps upstream. NG-PON2 provides a greater range of connection speed options including 10/2.5 Gbps, 10/10 Gbps and 2.5/2.5 Gbps. 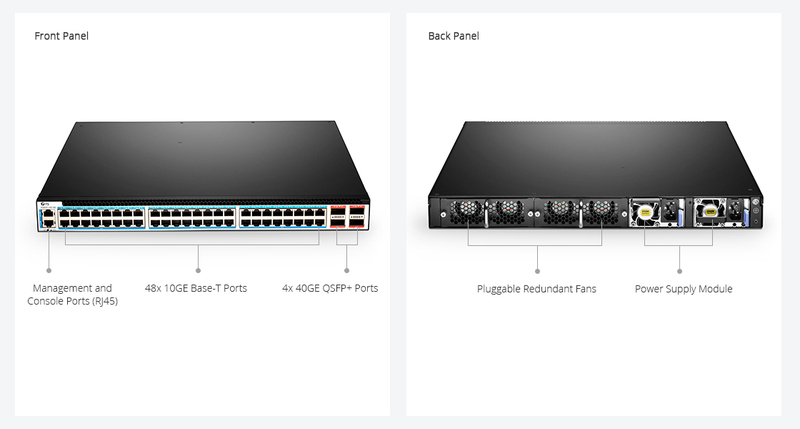 NG-PON2 also includes backwards compatibility with GPON and 10G-PON to ensure that customers can upgrade when they’re ready. The NG-PON2 technology is expected to be about 60 to 80 percent cheaper to operate than a copper based access network and provides a clear undeniable performance, capacity and price advantage over any of the copper based access networks such as Fiber to the Node (FTTN) or Hybrid Fiber Coax (HFC). At present, three clear benefits of NG-PON2 have been proved. They are a 30 to 40 percent reduction in equipment and operating costs, improved connection speeds and symmetrical upstream and downstream capacity. NG-PON2 can coexist with existing GPON and 10G-PON systems and is able to use existing PON-capable outside plant. Since the cost of PON FTTH (Fiber to the Home) roll out is 70 percent accounted for by the optical distribution network (ODN), this is significant. Operators have a clear upgrade path from where they are now, until well into the future. Initially NG-PON2 will provide a minimum of 40 Gbps downstream capacity, produced by four 10 Gbps signals on different wavelengths in the O-band multiplexed together in the central office with a 10 Gbps total upstream capacity. This capability can be doubled to provide 80 Gbps downstream and 20 Gbps upstream in the “extended” NG-PON2. Both the basic and extended implementations are designed to appeal to domestic consumers where gigabit downstream speeds may be needed but more modest upstream needs prevail. For business users with data mirroring and similar requirements, a symmetric implementation will be provided giving 40/40 and 80/80 Gbps capacity respectively. With the introduction of NG-PON2, there is now an obvious difference between optical access network and copper access network capabilities. Investment in NG-PON2 provides a far cheaper network to operate, significantly faster downstream and upstream speeds and a future-proof upgrade path all of which copper access networks do not provide, thus making them obsolete technologies. Telephone companies around the world have been carrying out trials of NG-PON2 and key telecommunication vendors have rushed NG-PON2 products to market. This entry was posted in Passive Optical Network and tagged 10G-PON, FTTH, FTTN, GPON, NG-PON2, PON on October 22, 2015 by Alice.Gui. There are many devices elementary but necessary for the Passive Optical Network (PON) applications that require the transmission, combining, or distribution of optical signals. These passive devices include the Optical Splitter/Coupler, Optical Switch, Optical Attenuator, Optical Isolator, Optical Amplifier, and WDM Filters (CWDM/DWDM Multiplexer) etc. Tips: The passive devices are components that do not require an external energy source. When working with these passive devices it is important to have a basic understanding of common parameters. Some of the basic parameters that apply to each device are Optical Fiber Type, Connector Type, Center Wavelength, Bandwidth, Insertion Loss (IL), Excess Loss (EL), Polarization-Dependent Loss (PDL), Return Loss (RL), CrossTalk (XT), Uniformity, Power Handling, and Operating Temperature. Many passive devices are available with receptacles or fiber optic pigtails. The pigtails may or may not be terminated with a fiber optic connector. If the device is available with a receptacle or connector, the type of receptacle or connector needs to be specified when ordered. You should also note the type of optical fiber used by the manufacturer of the device to ensure it is compatible with the optical fiber used for your application. Center Wavelength is the nominal operating wavelength of the passive device. Bandwidth (or bandpass) is the range of wavelengths over which the manufacturer guarantees the performance of the device. Some manufacturers will list an operating wavelength range instead. IL is the optical power loss caused by the insertion of a component into the fiber optic system. When working with passive devices, you need to be aware of the IL for the device and the IL for an interconnection. IL as stated by the manufacturer typically takes into account all other losses, including EL and PDL. IL is the most useful parameter when designing a system. EL may or may not be defined by the manufacturer. EL associated with fiber optic couplers, is the amount of light lost in the coupler in excess of the light lost from splitting the signal. In other words, when a coupler splits a signal, the sum of the power at the output ports does not equal the power at the input port; some optical energy is lost in the coupler. EL is the amount of optical energy lost in the coupler. This loss is typically measured at the specified center wavelength for the device. PDL is only a concern for Single-Mode passive devices. It is often the smallest value loss, and it varies as the polarization state of the propagating light wave changes. Manufacturers typically provide a range for PDL or define a not-to-exceed number. RL, short for Return Loss or Reflection Loss, is typically described as this: when a passive device is inserted, some of the optical energy from the source is going to be reflected back toward the source. RL is the negative quotient of the power received divided by the power transmitted. Tips: IL, EL, PDL, RL are all measured in decibels(dB). XT in an optical device describes the amount of light energy that leaks from one optical conductor to another. XT is not a concern in a device where there is a single input and multiple outputs. 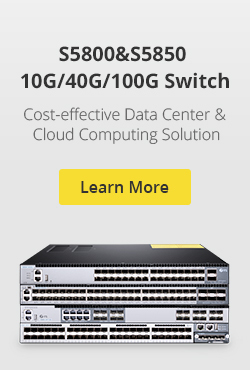 However, it is a concern with a device that has multiple inputs and a single output, such as an optical switch. XT is also expressed in dB, where the value defines the difference between the optical power of one conductor and the amount of leakage into another conductor. In an optical switch with a minimum XT of 60 dB, there is a 60 dB difference between the optical power of one conductor and the amount of light that leaked from that conductor into another conductor. Uniformity is a measure of how evenly optical power is distributed within the device, expressed in dB as well as XT. For example, if a device is splitting an optical signal evenly into four outputs, how much those outputs could vary from one another is defined by uniformity. Uniformity is typically defined over the operating wavelength range for the device. Power Handling describes the maximum optical power at which the device can operate while meeting all the performance specifications defined by the manufacturer. Power handling may be defined in mW(milliwatt) or dB, where 0 dBm is equal to 1 mW. Operating Temperature describes the range of temperatures that the device is designed to operate in. This can vary significantly between devices, because some devices are only intended for indoor applications while others may be used outdoors or in other harsh environments. This entry was posted in Passive Optical Network and tagged CWDM/DWDM Multiplexer, optical attenuator, optical fiber type, Optical Splitter/Coupler, Passive Optical Network, PON, WDM Filters on January 20, 2015 by Amelia.Liu. High intensity, coherent light beams are used as an increasingly common means of transmitting data. Optical fibers provide higher data rates with lower cost, weight and volume per units of length than cables relying on metallic conductors. A variety of devices are known for controlling the light beam. Once of these is the fibre attenuator. An exemplary optical attenuator is described and shown in U.S. NO. 4,192,573 to Brown, Jr.ct al. A flat mirror reflects an input beam of light. A focusing mirror receives the beam of light reflected from the flat mirror, so that the axis of the beam of light reflected by the focusing mirror is offset from and, parallel to, the axis of the input beam of light. A pinhole assembly receives the beam of light reflected from the focusing mirror. The pinhole assembly has a pinhole positioned on the axis of the beam of light reflected by the focusing mirror. A servo-motor actuates the flat mirror and the focusing mirror, in unison, relative to the pinhole assembly in a direction parallel to the axis of the input beam of light. The parallel movement of the mirror acts to vary the proportion of the input beam of light that passes through the pinhole. The servo mechanism is bulky and requires a relatively long period of time to move the mirrors relative to the pinhole assembly. The present invention is a variable optical attenuator (VOA) which has a semiconductor micro-electro-mechanical device for positioning a reflecting surface in any of a plurality of positions, each providing a respectively different amount of attenuation. The variable optical attenuator includes a Icns, a first optical waveguide, and a second optical waveguide. A semiconductor micro-electro-mechanical device is positioned on a side of the lens opposite the first and second optical waveguides. The device has a reflecting surface. The reflecting surface has a normal position in which light from the first waveguide reflects off of the reflecting surface and passes through the lens into the second waveguide. The reflecting surface has a plurality of respectively different attenuation positions in which light from the first waveguide reflects off of the reflecting surface and passes through the lens, but an amount of light entering the second optical waveguide is attenuated by respectively different amounts corresponding to the respectively different positions. According to a further aspect of the invention, a method for controlling a beam of light includes providing a lens, first and second optical waveguides, and a semiconductor micro-electro-mechanical device positioned on a side of the lens opposite the first and second optical waveguides. The devices having a reflecting surface. The reflecting surface is pivoted to a normal position in which light from the first waveguide reflects off of the reflecting surface and passes through the lens into the second waveguide. The reflecting surface is pivoted to a plurality of respectively different attenuating positions in which light from the first waveguide reflects off of the reflecting surface and passes through the lens, but an amount of light entering the second optical waveguide is attenuated by respectively different amounts corresponding to the respectively different positions. This entry was posted in Optical Attenuators and tagged fibre attenuator, VOA fiber optic price on January 2, 2014 by Amelia.Liu. Fiber optic systems transmission ability is based on the optical power at the receiver, which is reflect as the bit error rate, BER is the inverse of signal-to-noise ratio, high BER means poor signals to noise ratio. Too much power or too litter power will cause high bit error rates. When the power is too high as it often is in short single-mode systems with laser transmitters, you can reduce receiver power with an fibre attenuator. Attenuators can be made by introducing an end gap between two fiber, angular or lateral misalignment, poor fusion splicing, inserting a neutral density filter or even stressing the fiber. Both variable and fixed attenuators are available. Variable attenuators are usually used for margin testing, it is used to increase loss until the system has high bit error rate. Fixed attenuators may be inserted in the system cables where distances in the fiber optic link are too short and excess power at the receiver causes transmission problems. Generally, multimode systems do not need attenuators. Multimode source, even VCSELs, rarely have enough power output to saturate receivers. Single mode system, especially short links, often have too much power and need attenuators. For a single mode application like analog CATV systems, the return loss or reflectance is very important. Many types of attenuators suffer from high reflectance, so they can adversely affect transmitters just like highly reflective connectors. Attenuators can be made by gap loss, or a physical separation of the ends of the fibers, including bending losses or inserting calibrated optical filters. Choose one type of attenuator with good reflectance specifications and always install the attenuator at the receiver end of the link. It is very convenient to test the receiver power before and after attenuation or while adjusting it with your fiber optic meters at the receiver, plus any reflectance will be attenuated on its path back to the source. When testing the system power, turn on the transmitter, install the attenuator a the receiver, use a fiber optic power meter set to the system operating wavelength. Check to see whether the power is within the specified range for the receiver. For accurate measurements, the fiber attenuators connector types much match the lanch and receive cables to be tested, e.g. LC fibre optic attenuators is needed to work with the LC fiber patch cable, it work in 1250-1625nm range with optional attenuation value from 1dB to 30dB. If the appropriate attenuators is not available, simply coil some patch cord around a pencil while measuring power with your fiber optic power meter, adding turns until the power is in the right range. This entry was posted in Optical Attenuators and tagged fiber optic meters, fibre attenuator, LC fibre optic attenuators on December 26, 2013 by Amelia.Liu. Optical components include lasers, splitters, multiplexers, switches, photodetectors and other receiver types,and other building blocks of fiber optic communications modules, line cards, and systems. 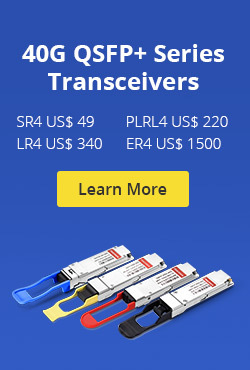 FiberStore provide many types of optical components,such as fiber splitters,optical attenuator,fibre connector,fiber optic transceiver modules and so on. We will not regularly updated -product, tutorials, blog and other related information, sharing of information about fiber optic communication. The First,Fiber Splitters. The Fiber Optic Splitter, also named beam splitter, is based on a quartz substrate of integrated waveguide optical power distribution device, the same as coaxial cable transmission system, The optical network system also needs to be an optical signal coupled to the branch distribution, which requires the fiber optic splitter, Is one of the most important passive devices in the optical fiber link, is optical fiber tandem device with many input terminals and many output terminals, Especially applicable to a passive optical network (EPON, GPON, BPON, FTTX, FTTH etc.) to connect the MDF and the terminal equipment and to achieve the branching of the optical signal. The Second,Optical Attenuator. The optical attenuator is a device used to reduce the power level of an optical signal, either in free space or in an optical fiber. The basic types of optical attenuators are fixed, step-wise variable, and continuously variable.Attenuators are commonly used in fiber optic communications, either to test power level margins by temporarily adding a calibrated amount of signal loss, or installed permanently to properly match transmitter and receiver levels.The most commonly used type is female to male plug type fiber optic attenuator, and it has the fiber connector at one side and the other side is a female type fiber optic adapter. The types of fiber optic attenuators are based on the types of connectors and attenuation level. FiberStore supply a lot of fiber optic attenuators, like FC, SC/APC, ST, PC, LC, UPC, MU, FC/APC, SC, LC/APC, fixed value plug type fiber attenuators with different attenuation level, from 1dB to 30dB. The Third,Fibre Connector. Fibre connector is used to join optical fibers where a connect/disconnect capability is required. The basic connector unit is a connector assembly. A connector assembly consists of an adapter and two connector plugs.Optical fiber connector is removable activities between optical fiber and optical fiber connection device. It is to put the fiber of two surface precision docking, so that the optical output of optical energy to maximize the fiber optic coupler in receiving optical fiber, and optical link due to the intervention and to minimize the effects on the system, this is the basic requirement of fiber optic connector. To a certain extent, fiber optic connector also affects the fiber optic transmission reliability and the performance of the system. The Fourth,Fiber Optic Transceiver Modules. Fiber optic transceiver is an important device in the optical fiber communication systems, which can be performed between the photoelectric signal conversion, with the receiving and transmitting functions. The fiber optic module is typically composed by the optoelectronic devices, the functional circuit and the optical interface, the optoelectronic device includes a transmitter and receiver in two parts.Usually, it is inserted in devices such as routers or network interface cards which provide one or more transceiver module slot (e.g GBIC, SFP, XFP). For more information about fiber optic component,pls focus on www.fs.com, we will not regularly updated product, tutorials, blog and other related optical component information. This entry was posted in Optical Attenuators, Single Mode Fiber (SMF) and tagged Fiber Splitters, Fibre Connector, optical attenuator on October 14, 2013 by Amelia.Liu. Under the broadband Fiber Optic Network in the trend, PON technology has become the world’s attention to various telecom operators hot technology is one of the operators to implement “broadband speed”, “Light of Copper” engineering technology base. Wheter EPON, or GPON, which provides only for the uplink and downlink bandwidth of 1G or 2G, but with the current interactive network TV (IPTV), high definition television (HDTV), online games, video services and other large flow, a large broadband business development and popularization of the per-user bandwidth demand is expected to grow every three years, a trend of increasing magnitude, from the future operator of long-term trends, per-user bandwidth demand will be 50-100 Mbit/s between. This way, EPON and GPON are unable to meet the future needs of the development of broadband services, the existing PON port bandwidth, there will be a bottleneck. Therefore, ITU-T, FSAN, IEEE and other major standards organizations begin the next generation of PON technology research. This entry was posted in Passive Optical Network and tagged EPON ONU, fiber optic network, Optical Module, PON Technology on August 5, 2013 by Amelia.Liu.